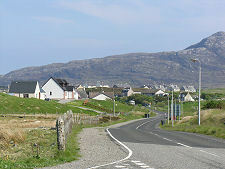 Lochmaddy is the village capital and main settlement on the island of North Uist. It is also the terminus for the ferry to Uig on Skye, which provides the shortest link to the Uists from mainland Scotland. Lochmaddy has a long history. The original name of the area was Cearsabhagh or Kersivay, probably given by Norse residents up to 1,000 years ago as a description of the complex shape of the bay. By the 1600s, Loch nam Madadh was the name in use, a reference to the rocks in the entrance to the loch shaped like dogs' or wolves' heads (madadh in Gaelic). Possibly the first reference to it in writing was a report of the loch being used as a base for pirates in 1616. 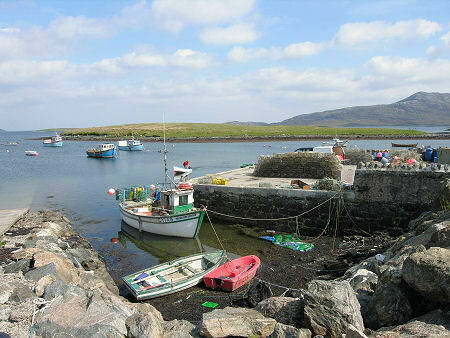 There was a quay at Lochmaddy by 1703, and in 1802 a fishing village was built here to take advantage of the plentiful herring in nearby waters. In 1834 Lochmaddy took up the role as the North Uist terminus for steamers from Uig; a role further developed with the arrival of the first vehicle ferries in 1963. 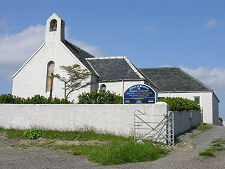 In 1985 a roll-on roll-off service was introduced, and from 1989 a Sunday service started on the Uig-Lochmaddy leg of this service, despite some local opposition. 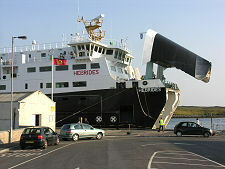 Until 1996 Lochmaddy's ferry links to Uig on Skye and Tarbert on Harris provided the only means of transporting vehicles between the two main parts of the Western Isles. Since the advent of the Sound of Harris Ferry this role has disappeared, but most traffic heading south from the southern terminus of the Sound of Harris Ferry on Berneray comes via Lochmaddy anyway. 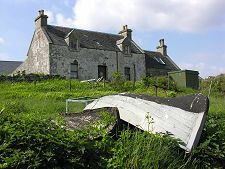 An inn called Taigh Chearsabhagh was built in Lochmaddy in 1741 by a local merchant. 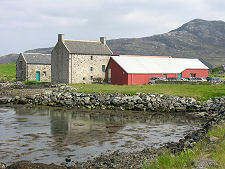 Taigh Chearsabhagh was later converted to a house before, in 1995, emerging from conversion as an impressive Museum and Arts Centre. The Lochmaddy Hotel was built in 1864 to accommodate visitors coming by steamer to fish or shoot, and at one time the hotel owned 29 boats on its various fishing lochs. 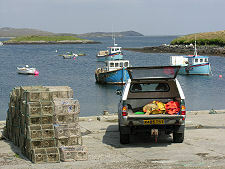 Today it still hosts fishermen and others visiting North Uist in its 15 rooms. 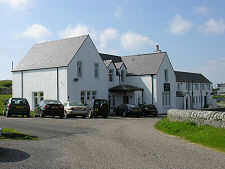 A more recent arrival on the scene in Lochmaddy is the Hamersay House Hotel. 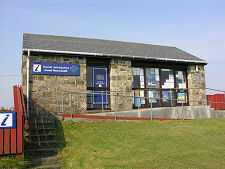 Close to the Lochmaddy Hotel and the ferry terminus is the Tourist Information Centre, while back towards the main body of the village is what must be one of the best located banks in Scotland. 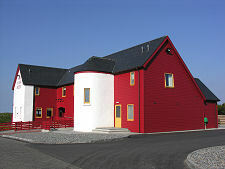 Lochmaddy also offers budget travellers hostel accommodation at the Uist Outdoor Centre. 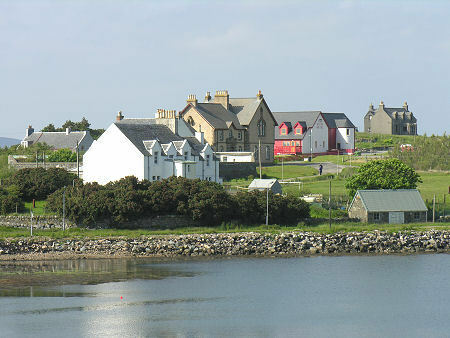 Lochmaddy is home to a number of striking buildings in addition to the Lochmaddy Hotel, Hamersay House Hotel and Taigh Chearsabhagh. The church was built in 1891, while the Sheriff Court dates back to 1875. The hospital, slightly removed from the rest of the village, was originally built as a poor house in 1882, but closed in 2001.